The Canadians stole a deuce in the fourth end to ramp up the pressure and get some mistakes out of the Swiss duo. Leading 8-6 heading into the eighth, Sahaidak and Lott held the Swiss to a single point when Perret’s final draw to the four-foot was just short. On Thursday, the Canadians will face off against Sweden (2:30 a.m. ET) and Korea (2 p.m. ET). 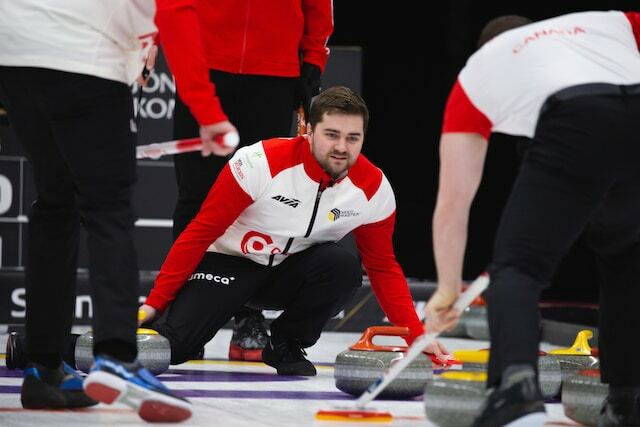 In men’s action, Matt Dunstone’s Regina men’s team (vice-skip Braeden Moskowy, second Catlin Schneider, lead Dustin Kidby) were in control from the start against Norway’s Steffen Walstad, stealing five points in the first five ends on the way to an 8-2 win. 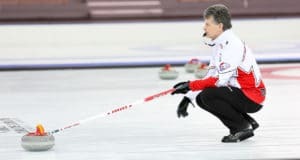 “I don’t think we’ve played them (Walstad) before but they’ve had a lot of success and they’re familiar with this event so to get a win over one of the top ranked teams here is a great start,” said Moskowy, who says the Dunstone team is embracing the opportunity to compete in this international event. 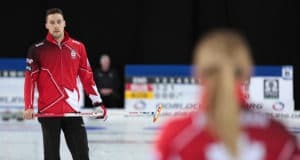 The Canadian men will be back on the ice against China’s Ma Xiuyue on Thursday at 6 a.m. ET. 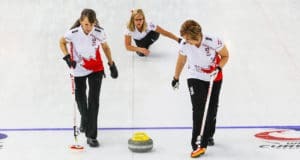 In the women’s round robin, Darcy Robertson’s Winnipeg team (vice-skip Karen Klein, second Vanessa Foster, lead Theresa Cannon) ran into trouble against Olympic gold-medallist Anna Hasselborg of Sweden, losing 8-2 in the opening game. Hasselborg surged ahead 6-2 after five ends and stole the next two ends to put the game out of reach. Robertson is back in action on Thursday with two games, against Russia’s Anna Sidorova (6 a.m. ET) and China’s Jiang Yilun (2 p.m. ET).